Loews Hotels & Resorts today announced the promotion of Monica Xuereb to Chief Revenue Officer, responsible for supporting all revenue processes for Loews Hotels. Xuereb joined Loews Hotels & Resorts in 2013 as Vice President of Revenue Management following a successful period of entrepreneurship supporting independent hoteliers and hotel groups such as Small Luxury Hotels of the World, Rosewood, Morgans and Dorchester Collection. Previously, she was Vice President of Revenue Management, International for The Ritz-Carlton Hotel Company, where she oversaw the yield strategies of 34 Ritz Carlton and Bvlgari Hotels in Europe, the Middle East and Africa, with over $1.5 billion in annual top line revenue. The Malta Tourism Authority Board appointed Paul Bugeja as new Chief Executive Officer of Malta Tourism Authority (MTA) effective immediately. Bugeja will succeed outgoing CEO, Mr Josef Formosa Gauci. 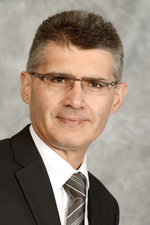 Prior to his appointment as CEO of the Malta Tourism Authority, Bugeja held several senior posts at Corinthia Hotels, most recently, as CFO for the Hotels Operating Divisions and Group Monitoring Board Director. He also served this past year as President of the Malta Hotel & Restaurant Association. The former CEO of VisitBritain, Sandie Dawe, MBE, has been appointed as a board member of London & Partners, the Mayor’s official promotional company for the city. Dawe, who was at VisitBritain for 23 years, brings with her a wealth of experience in the tourism sector. She was awarded an MBE for her services to the tourist industry in the Queen's Birthday Honours in 2008. She was appointed CEO at VisitBritain in 2009 and during her tenure tourism across the UK experienced a significant increase with a record 33 million visitors in 2013 and a 13% increase in tourism spend. 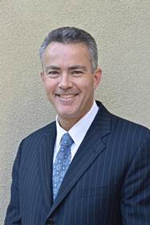 Omni Rancho Las Palmas Resort & Spa has announced the appointment of Brian Hughes as general manager. 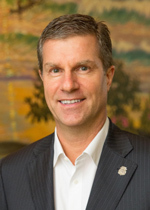 A member of the Omni Hotels & Resorts family for the past six years, Hughes oversees all operations including sales and marketing of the 240-acre oasis resort located in greater Palm Springs in Rancho Mirage, California. A hotel industry veteran with more than twenty years of experience, Hughes got his start with Omni Hotels & Resorts in 2008 as general manager of Omni San Diego Hotel. Under his leadership, the 511-room hotel received an Associate Satisfaction score above 90 percent seven years in a row - the longest streak in the company - as well as the highest internal rate of promotion in the company in 2013. He is a former chairperson of the San Diego Tourism Authority Board of Directors and was recognized as General Manager of the Year in San Diego by HSMAI and the San Diego Hotel/Motel Association. Omni San Diego Hotel was honored with many awards and accolades under Hughes' management, from a TripAdvisor Certificate of Excellence to a Top Hotels award from readers of Condé Nast Traveler. Radisson Blu Warwick Hotel, Philadelphia today announced the appointment of Jean-Marc Jalbert as general manager. Jalbert will oversee all staff operations, ensuring that all facets of the 301-room historic property exceed guest expectations. Jalbert’s experience in the hospitality industry as a general manager and food and beverage director has taken him from France to England, throughout United States, and the Caribbean over the past 30 years. No stranger to the upper-upscale service guests expect from the Radisson Blu brand, Jalbert was most recently general manager at the Radisson Blu Resort, Marina & Spa in St. Martin. After receiving his hotel management degree from Lycée Hotelier Paul Valery de Menton, he worked at the five-star, five-diamond Chateau Hotel outside of Paris, solidifying his experience in the luxury segment and honing his skills in the food and beverage arena. He also held food and beverage director positions at the Sofitel in Houston and Turnberry Isle Resort & Club in Florida. Jalbert’s first general manager position was at Grove Isle Resort & Club in Miami. Luxury Miami Beach hotel, The Ritz-Carlton, South Beach, announces the appointment of Dennis Jung to the position of Hotel Manager. With more than 15 years of experience in the hospitality industry, the seasoned international hotelier will lead and oversee the operation of the 375 room hotel in Miami Beach, FL. Jung’s tenure in the luxury hotel industry has led him to exotic locations around the globe, working in 6 cities, across 3 different continents. He began his hospitality career as a Night Auditor at a 285 room hotel in Frankfurt, Germany. After 10 years and 8 employment positions in the Rooms Division – holding executive positions in Munich, Switzerland, Shanghai, and Beijing – Jung decided to Join The Ritz-Carlton family in 2010. Playa Largo Resort & Spa, Marriott International’s newest Autograph property to break ground, is proud to announce the appointment of Shakir Hussain as general manager for the resort. Having held various executive positions, Shakir Hussain brings more than a decade of substantial leadership experience to Playa Largo Resort & Spa. He assumes his new role by way of the Cheeca Lodge & Spa in Islamorada, Florida, where he served as director of food and beverage. Prior to that, Hussain served as vice president and general manager at Excelsior Hospitality where he established profit and service-focused operations and increased financial results. He also held general manager positions at Esplendor Resort, Blackstone Renaissance and Sheraton Miami, amongst others. Hussain received his degree in Hotel & Restaurant Management from Cornell University School of Hotel Administration in Ithaca, NY and also completed a 2-Year Management Training Program in Hotel and Restaurant Management at Oberoi School of Hotel Management in India. Today, Travel Leaders Corporate - one of the industry’s leading corporate travel management companies (TMC) – announced that it has appointed its controller, Parker Schlank, to the newly created position of vice president of finance, data & strategic partnerships. 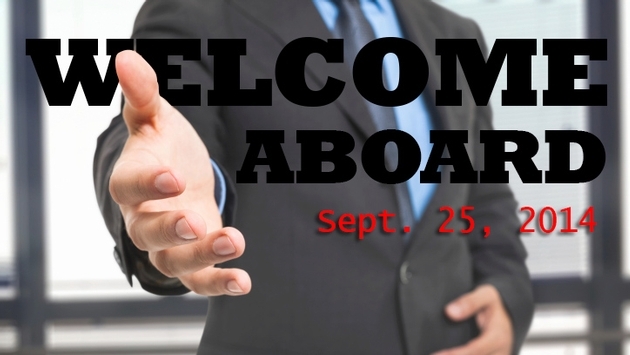 Prior to joining Travel Leaders Franchise Group in 2008, Schlank worked in wealth management at Merrill Lynch and in corporate banking at US Bancorp. 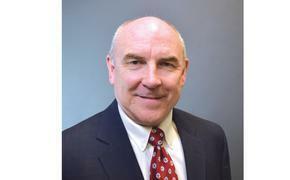 While working on special projects appointed by Travel Leaders Group Chief Financial Officer Willie Lynch, Schlank’s success soon earned him a leadership position within Travel Leaders Corporate as Controller and deemed him essential in the implementation efforts of several key financial systems and strategic functions. In addition to his new role and responsibilities as Vice President of Finance, Data & Strategic Partnerships, Schlank is currently pursuing a Certificate of Professional Development at The Wharton School. The St. Regis Bal Harbour Resort is proud to announce the appointment of Milton Sgarbi as general manager for the prestigious oceanfront resort. Sgarbi has over 20 years of domestic and international experience helming the world’s most coveted resorts across three different Continents. He brings a wealth of experience and passion for hospitality to his position at The St. Regis Bal Harbour Resort, Miami’s premiere destination at the intersection of art, fashion and design. As general manager, Sgarbi is in charge of operating the hotel and residences for the AAA Five Diamond Resort, while providing guests with the unmatched service and bespoke experiences that are synonymous with the St. Regis brand. He will also manage all facets of the property, from operational duties to finance. Hilton Worldwide today announced the appointment of Chris Jung as general manager of the newly re-launched Conrad London St. James, the latest addition to Conrad Hotels & Resorts’ luxury portfolio. With 11 years of extensive knowledge in international luxury hotel management spanning four continents, Jung brings strong commercial insight and a wealth of expertise to the position. Jung joins Conrad London St. James from five years with InterContinental Hotels Group, overseeing day-to-day operations for The Intercontinental Berlin, Intercontinental Taba Heights Resort, and Intercontinental Doha The City and Intercontinental Residence Suites Doha The City. Prior to IHG, Jung worked with Hilton Worldwide from 2003 to 2009, working in properties throughout the company’s portfolio, including roles as director of operations at both Hilton Tokyo And Hilton Zurich Airport. American Express Global Business Travel (“GBT”) today announced the appointment of Philippe Chereque as chief technology officer. Philippe, who joins GBT from Amadeus Technology Group SA, will lead GBT’s technology strategy and innovation with a focus on core platforms and critical path products. 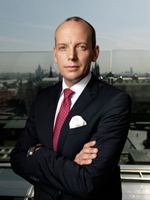 Chereque previously held the role of executive vice president of commercial at Amadeus Technology Group SA, where he led the worldwide implementation of Amadeus Technology’s commercial strategy. Prior to that, he served as the Senior Vice President of Corporate Strategy, responsible for driving and coordinating the company’s business development, marketing, technical architecture and product plan. Mr Chereque joined Amadeus Global Travel Distribution S.A. as one of the founders in 1987. Jeff Johnson is joining The Broadmoor as vice president of marketing & sales. Johnson will oversee all marketing and sales efforts for The Broadmoor, and The Broadmoor’s growing Wilderness Experience portfolio, including The Ranch at Emerald Valley, Cloud Camp, and soon, Fishing Camp, a private fly fishing property and Seven Falls, a historic landmark attraction, both opening in the spring of 2015. Johnson comes to The Broadmoor with more than 30 years of experience in hospitality brand management, marketing, and sales. His experience includes 13 years as the vice president of sales & marketing at the AAA Five-Diamond Phoenician Resort in Scottsdale, Arizona, directing the pre-opening sales, marketing, and launch strategy for the resort and five years as the vice president of marketing for The ITT Luxury Collection, leading global marketing initiatives for the brand’s 54 hotels in 22 countries.